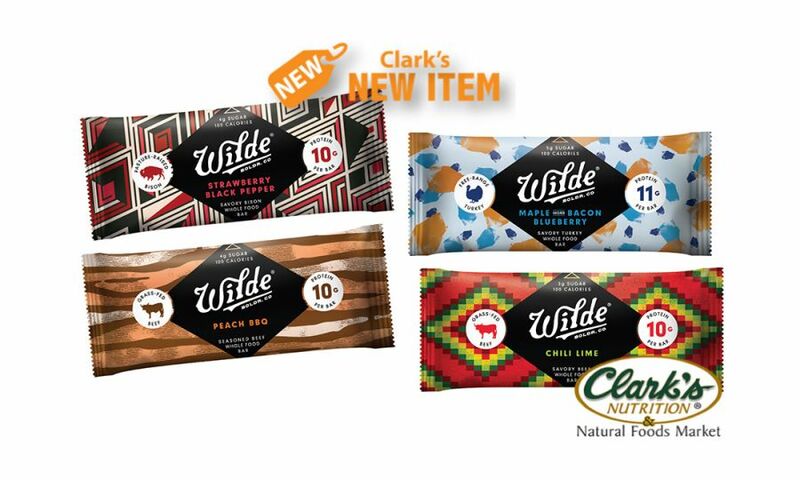 Wilde Snacks has redefined the traditional idea of a protein bar with their slow-baked meat snacks, using lean meats that are humanely raised. They have 6 flavors; Turkey Cranberry, Sweet Thai Basil Chicken, Maple Bacon Blueberry, Peach BBQ Beef Sirloin, Chili Lime Beef and Strawberry Black Pepper Bison. As if these flavor creations weren't already making your mouth water, the best part is they are completely portable to be enjoyed at your convenience. Oh the possibilities are endless with these savory protein snacks and we are excited to have them in our stores.